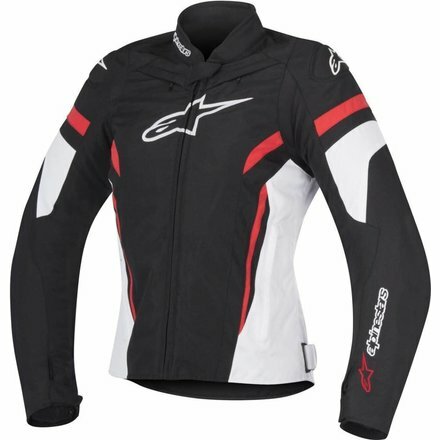 Sports textile ladies jacket with thermo lining and connection zipper. 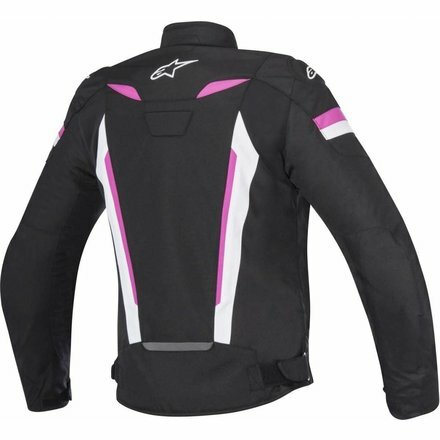 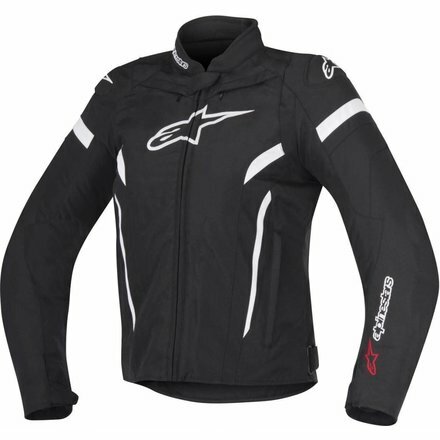 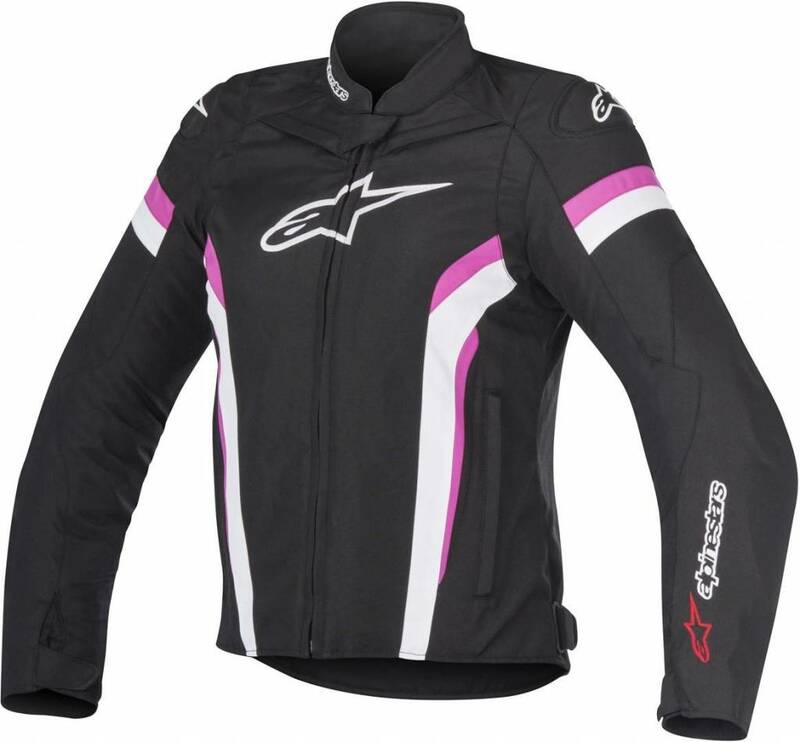 Subtly incorporated class-leading protection makes the Stella T-GP Plus R V2 Jacket perfect for female riders. 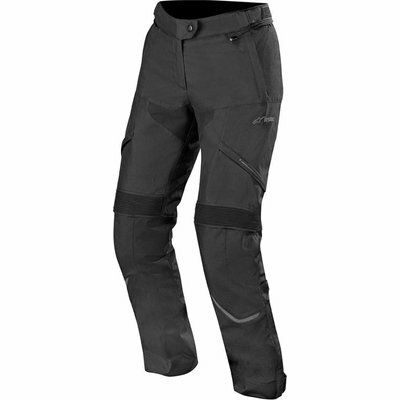 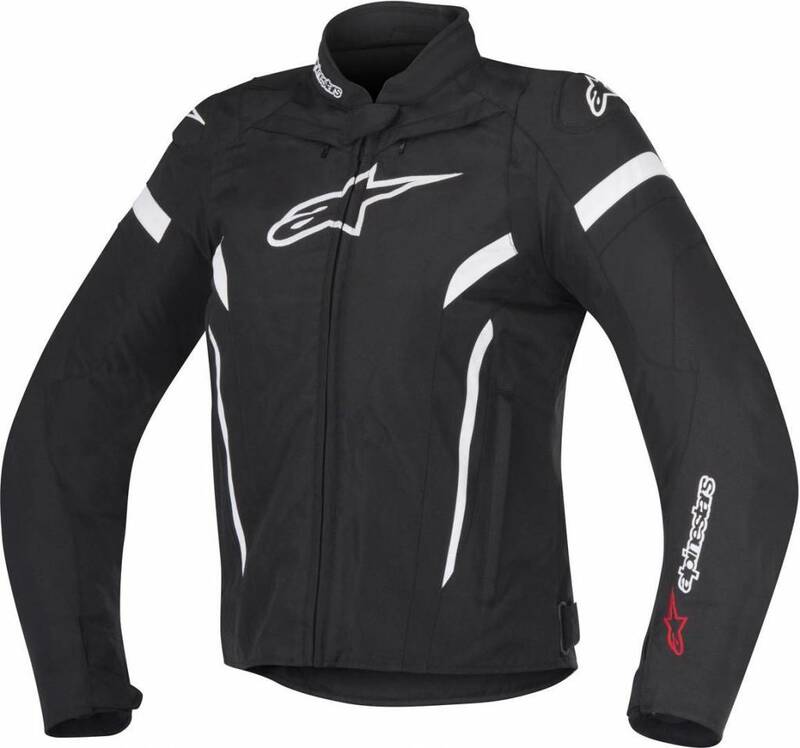 Constructed from a highly durable and abrasion resistant poly-fabric main shell featuring zippered air intakes to provide crucial ventilation, this jacket has a convenient full circumference waist zipper to allow for a safe and secure attachment to Alpinestars pants. 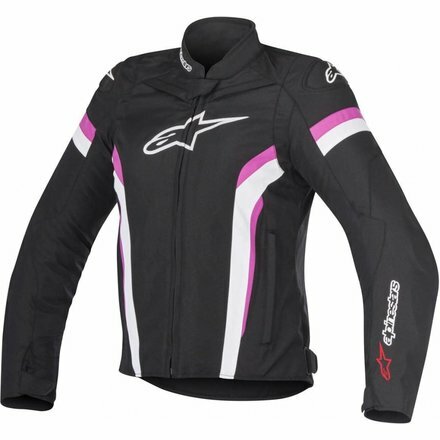 Strategically positioned zippered air intakes on upper sleeves provide adjustable levels of ventilation for warmer weather conditions. 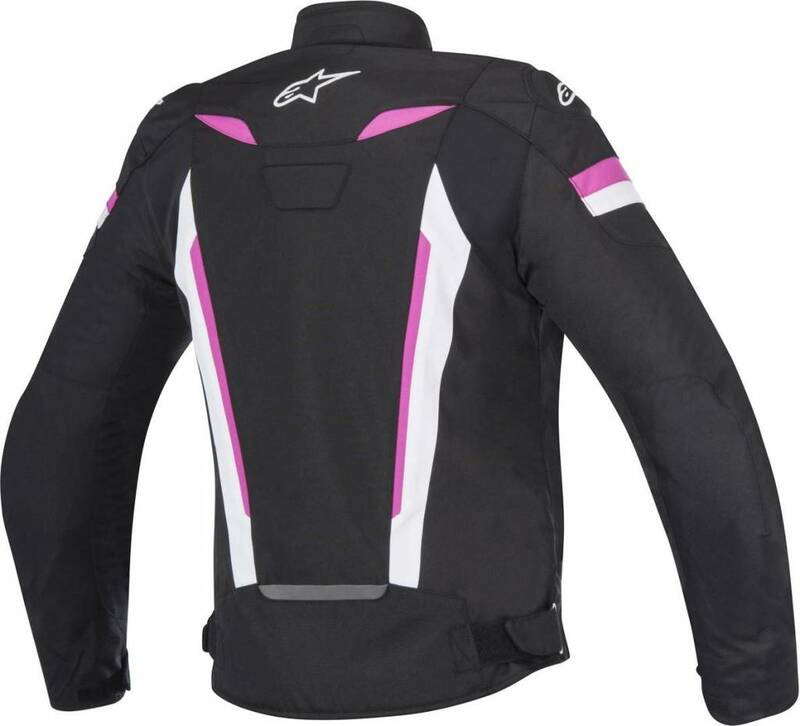 Removable interior thermal full-sleeve jacket lining with pockets allows garment to be worn in different weather situations. 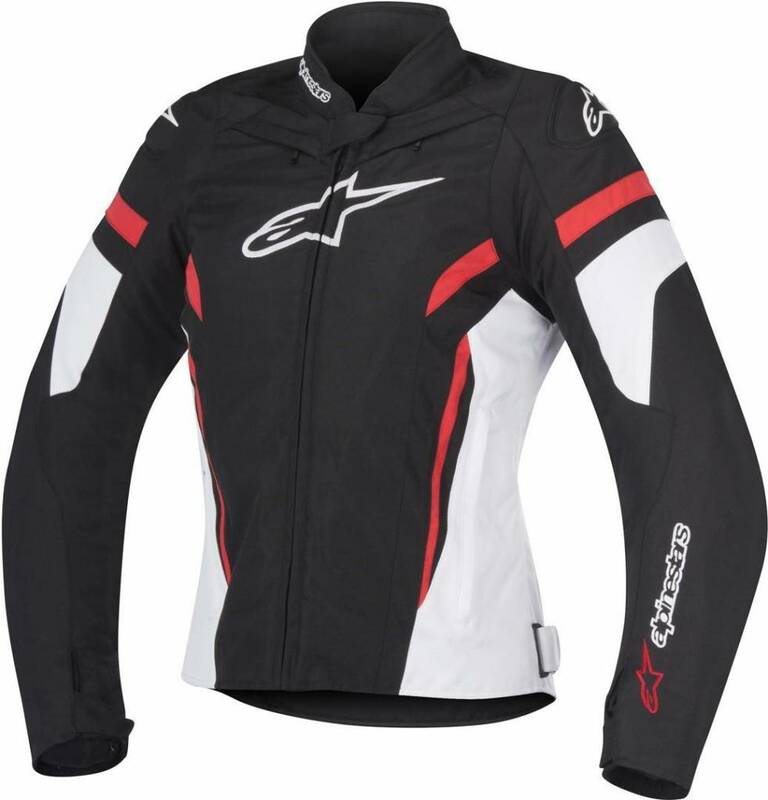 Soft mesh collar construction incorporates velcro closure for secure and comfortable closure.